I guarantee Gary Oldman, Frances McDormand, Sam Rockwell, Willem Dafoe, Laurie Metcalf, Sally Hawkins, Meryl Streep and Allison Janney all slept well last night. Everybody else? Probably some anxious fever dreams about Streep pulling gold out of her teeth. The Oscars are that unpredictable — and the nominees for the 90th annual Academy Awards prove my point. Mary J. Blige could be halfway to an EGOT. Denzel Washington is in for a role — Roman J. Israel, Esq. — that isn’t even in his Top 15. What else surprised me? It’s time to weigh in on the Oscar nominations. By the way, I’m writing this from Day 6 of the Sundance Film Festival in Park City, Utah. I blame any egregious omissions on the high altitude. Ouch. 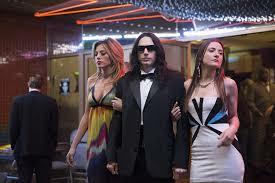 Though he’s been nominated for Best Actor for every other dog and pony awards show — and won the Golden Globe — James Franco was left out of the category for his work as wacky auteur Tommy Wiseau in The Disaster Artist. Point blank, the recent allegations of sexual harassment surely hurt his chances to be honored. (The accusations went public right around the Oscar ballot deadline). He might have also lost some points for awkwardly and kinda rudely keeping Wiseau away from the podium microphone during his Golden Globe acceptance speech. 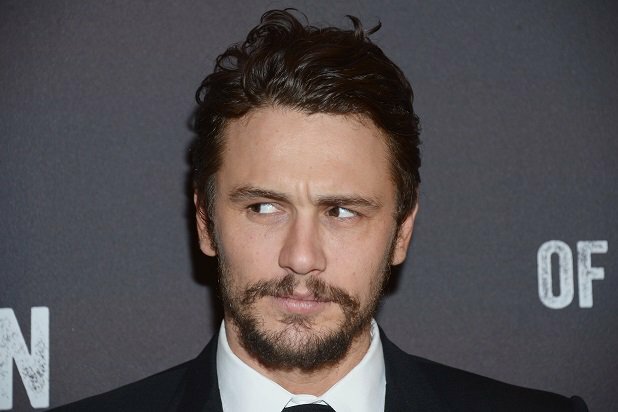 Franco’s work is a career highlight; don’t kid yourself if you think ugly personal matters don’t affect professional accolades. Darn it! The Best Supporting Actress already features two salty moms in Allison Janney (I, Tonya) and Laurie Metcalf (Lady Bird). 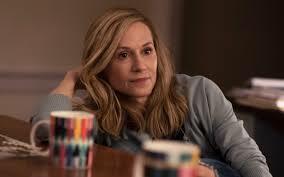 Apparently, there wasn’t room for three, as Holly Hunter was left out for The Big Sick. (Hunter, a Best Actress Oscar winner back in 1994 for The Piano, was a very repsectable No. 3 on Gold Derby’s odds list.) The crowd-pleasing comedy was also left out of the Best Picture category. However, star Kumail Nanjiani and his wife, Emily V. Gordon, did pick up a Best Original Screenplay nod. They should win for that 9/11 joke alone. Judging by the box-office numbers, you likely haven’t seen this high-quality drama about an obnoxiously fussy 1950s London clothing designer. Apparently, the Academy members have — and they thought it was the best thing since sliced mushrooms. (Inside joke for the few people who did catch it.) The film cleaned up in the top categories, including Best Picture, Best Director (Paul Thomas Anderson), Best Actor (Daniel Day-Lewis) and, rather shockingly, Best Supporting Actress (Lesley Manville). Seeing that Lewis, a three-time Best Actor winner, claims that this was his final role, he was the movie’s only lock. Perhaps surefire winner Oldman will acknowledge him in his acceptance speech. More crying for poor Elio! Armie Hammer seemed like a shoo-in for his role as a gregarious, though closeted, grad student that falls for a wide-eyed teenager in Call Me By Your Name. Alas, he was left out of the Best Supporting Actor category. In his place: A very well-deserved Woody Harrelson for Three Billboards Outside Ebbing, Missouri. Harrelson plays an ailing local police sergeant investigating the murder of a teenage girl. He also tries to pass on some advice to his thick-headed sheriff. Said sheriff is played by Sam Rockwell — also nominated in the category and the odds-on winner. Inspired by the current political and media firestorms, legendary director Steven Spielberg decided to film the journalism thriller The Post just last summer. For his speedy efforts, he was rewarded with a Golden Globe nomination. But while his film made the cut for Best Picture, he didn’t get the Best Director nod. Call it a weird side effect of a Best Picture category that can have up to 10 nominees while the rest of the lot is limited to five. That explains why Three Billboards director Martin McDonagh was also snubbed in the category. I know the Wonder Woman fans are also peeved that Patty Jenkins and her blockbuster got completely shut out. Still, there was no denying buzzy (and oh-so-worthy) contenders Jordan Peele for Get Out and Greta Gerwig for Lady Bird. 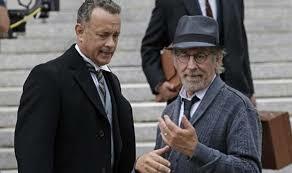 I suppose Spielberg can comfort himself with a blanket made up of all his other trophies.